The EGR superguard bug shield is the premier deflector featuring a full-height, wrapped design to provide the most possible protection for your hood and windshield. 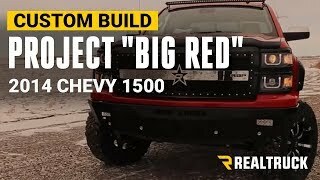 These bug shields are made from high impact resistant automotive grade acrylic for years of performance and extra strength. This premium EGR superguard bug deflector is available in a dark smoke finish and can be installed in minutes with no drilling. 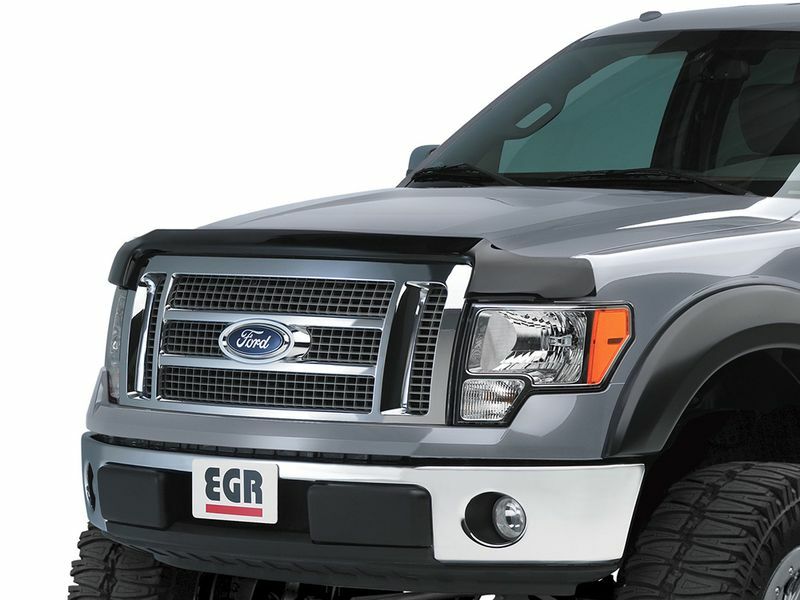 Enhance your pickup truck or SUV with top shelf bug shield from EGR. 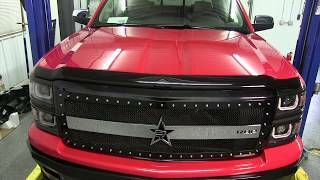 The superguard design added some flare to any vehicle. 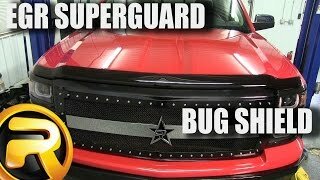 The EGR Superguard bug shield is an easy at home no drill installation. For additional info, please call us at 1-877-216-5446 or 701-253-5906.